So I decided to skip the verses that are in the daily devotional that I use for today, and I turned to one of the most comforting verses in Scripture for me, the one quoted above when Jesus promises a peace that the world cannot give. By now you’ve probably heard about the deadly shooting in Orlando, Florida, where a lone gunman with an assault rifle managed to kill 50 people and injure more than 50 others. The attack occurred at one of the premier gay clubs in the Orlando area and was carried out by a Muslim man who apparently called 9-1-1 during the attack and pledged allegiance to ISIL. This has lead to a furious firestorm on social media and news outlets with people arguing over whether this was a hate crime, a terrorist attack, or just another mass shooting in a nation plagued by such events. In reality, it is all three. The patrons of this club were certainly targeted for their sexual orientation. More and more information seems to be coming out suggesting that while the shooter was not formerly associated with ISIL or any other terrorist group, his actions seem to have been motivated by the ideology. Then of course this man was able to buy weapons used in this attack in just the last week, taking advantage of our lax gun laws to obtain the tools used to perpetrate this atrocity. The thing is, none of these arguments really do anything for the victims. The platitude of “thoughts and prayers” really doesn’t do anything for them either. In fact, I’d probably wager that most folks who toss out “thoughts and prayers” after something like this probably move on with their thoughts fairly quickly and probably don’t offer more than a token prayer for the victims so that they can feel that they did their duty. Shouldn’t we be over that at this point? Is it any wonder that people are starting freak out when they hear someone offer “thoughts and prayers?” It’s literally the most useless thing any of us can say or do. The verse listed above from John comforts me when I read about things like this, but I highly doubt it would be all that comforting to a mother who lost her son in that shooting. It’s time we dispensed with religious platitudes and actually tried to live our faith, and our faith looks like Jesus. Jesus called simple people to follow him and spread his message. Jesus advocated the use of non-violent, subversive methods to respond to oppression. Jesus condemned violence and vengeance. 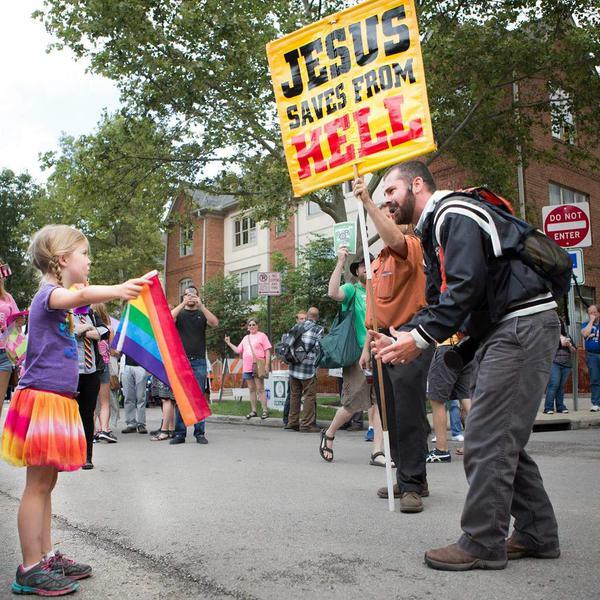 Jesus stood with the “sinner” and outcast against the religious elite of his day. Jesus surrendered his life instead of calling down destruction on his enemies. Isn’t it past time that we started following his example in these and other areas? Maybe instead of condemning our gay neighbors or our Muslim neighbors we should be looking for ways to stand with them and serve them. Maybe it’s time to make sure the doors of our churches are open to people who are physically and emotionally affected by these tragedies and literally offering them sanctuary. It’s definitely past time that we pile pressure on our elected representatives (most of whom claim to be Christians) telling them to stand up for peace and victims and against the merchants of weapons and death. Ah, things we can learn from Children! Holy and Peaceful the Day of the Mountain. It’s raining this evening. Normally, I’m a rain guy. I love the rain. 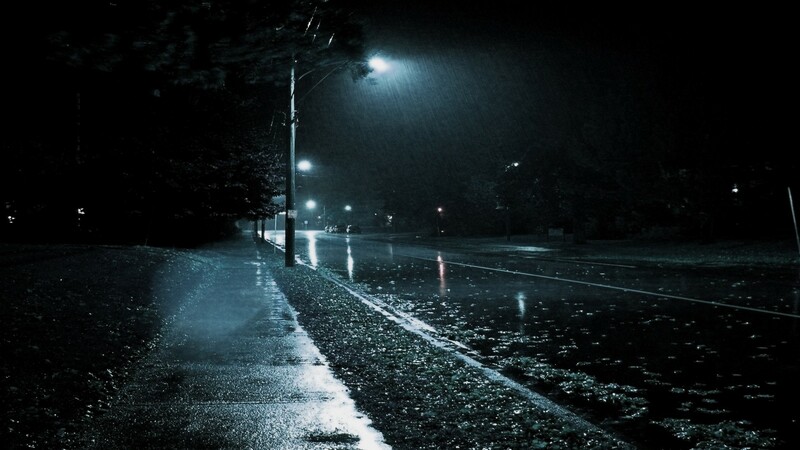 I love to walk outside, especially in the night or very early morning and smell the scent of the rain on the pavement and grass. Normally it invigorates me. Tonight is different though. If you’ve seen the international news today you have a sense of what might be on my mind. I’m not going to give the people who perpetrate acts like this the slightest bit of glorification or propaganda by describing what happened. Hit up your favorite news source and I’m sure it will be on the front page. If you really haven’t heard, click here for the BBC story. it feels like a light has gone out in the larger world, a light that I’m afraid won’t come on again. But why do I care, and what does it have to do with this rainy evening? To me its both a simple comparison and a deep disturbance. What do I mean by that? It just feels like every time something like this occurs a light goes out. I’m not just talking about the light of the life of a young man who was defending his country, though that is of utmost importance, but it feels like a light has gone out in the larger world, a light that I’m afraid won’t come on again. Sheer violence and evil like this shakes me to the core, reverberating in the innermost places in my soul. Maybe it shakes you as well. Every time something like this happens, I feel a little less hope. This is, of course, one of the desired affects of acts like these. Tonight, to me, these rain drops are tears of sorrow, tears for this young man and his family and tears for the damage to our world community caused through these acts. They are tears that leave me filling utterly alone in a big, dark, and stormy world. As many of us do, I turn to my faith for solace. Not for answers, mind you. I don’t think there any true answers with explanatory power for situations like this. and righteousness in the fertile field. And this righteousness will bring peace. Yes, it will bring quietness and confidence forever. My people will live in safety, quietly at home. They will be at rest. the Lord will greatly bless his people. Wherever they plant seed, bountiful crops will spring up. “They will be at rest. Even if the forest should be destroyed and the city torn down.” That’s powerful, and it speaks right to wear I am tonight, listening to the rain. May the God of peace, the peace that passes all understanding, grant us comfort in times of sorrow and distress, and give us the strength to serve and love one another to bring about Unity, Harmony, and Rest.